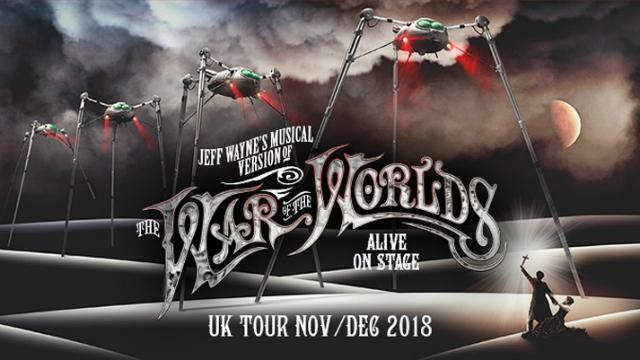 See the remarkable adaptation of Jeff Wayne’s The War of the Worlds – Alive on Stage as the UK tour arrives at The O2. In 1978, Wayne’s groundbreaking album added music to HG Wells’ science fiction tale about aliens attacking Earth. Four decades later, this theatrical production uses holography, spectacular stage design, innovative lighting and a towering arched bridge to bring the story to life in London. Liam Neeson, Jason Donavan, Adam Garcia and Newton Faulkner star in the action-packed show, which also features a 36-piece string orchestra and nine-piece band.